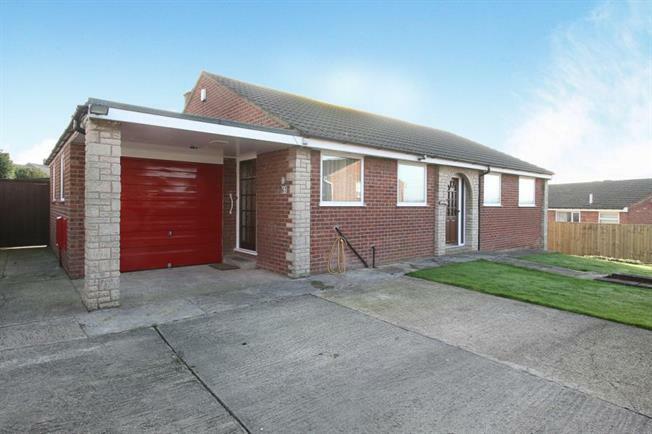 3 Bedroom Detached Bungalow For Sale in Chesterfield for £199,000. Reduced for a limited time only. Blundells are pleased to present this lovely three bedroom detached bungalow situted in the heart of New Whittington. The property is sat on a fantastic plot with ample of parking and views of Chesterfield. The bungalow offers two good double bedrooms and a third single bedroom currently being used as a dining room. There is a large living dining space with patio doors out onto the rear garden, the perfect spot to enjoy the views. The kitchen is a long galley kitchen with the potential to make open plan living or enough space to have a small table. The bathroom has a white three piece suite, complete with wash hand basin, shower tray and a separate low level flush toilet. New Whittington is a small suburb approximately 4 miles from Chesterfield Town Centre. With a host of local amenities it lends itself perfectly to family life. Excellent commuter routes via A617 to Junction 29 of the M1 motorway network along & within easy reach of Chesterfield railway station providing easy access to Sheffield, Derby & Nottingham. This property is full of potential and is a MUST VIEW! Call Blundells now!